“I shall be discovering the advantages of the BMW Hydrogen 7 with interest over the coming weeks.” Those are the royal sounding words of Prince Albert of Monaco. This comes at an environment exhibition in the Prince’s home country, a tax haven which happens to be the home garage to an inordinate amount of the world’s supercar population. Yes, supercars and environmental exhibitions don’t typically go hand in hand, but keep one thing in mind: Ferrari, Lamborghini, Pagani, and the like make up an ever-so-tiny small fraction of the world’s automotive pollution. Automotive pollution itself is not even the world’s main source of greenhouse gases. Nevertheless, the irony is on the surface. In a city where highrises are more common than excessively botoxed women (oooh, harsh) and where Google Earth reveals as much ‘green’ as Death Valley in the dry season (ooh, harsher), Prince Albert touts his enviro-cred by taking the keys to one of 100 hydrogen-powered German limos. 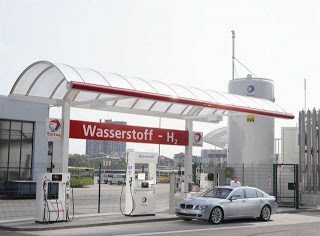 Other noteworthy BMW Hydrogen 7 drivers have included the likes of Jay Leno, Will Ferrell and the Vice-President of the European Union. Prince Albert should be made aware of his old bobsleighs – human-powered.